A strange quirk of fate had two icons sharing the headlines in New York City this week. 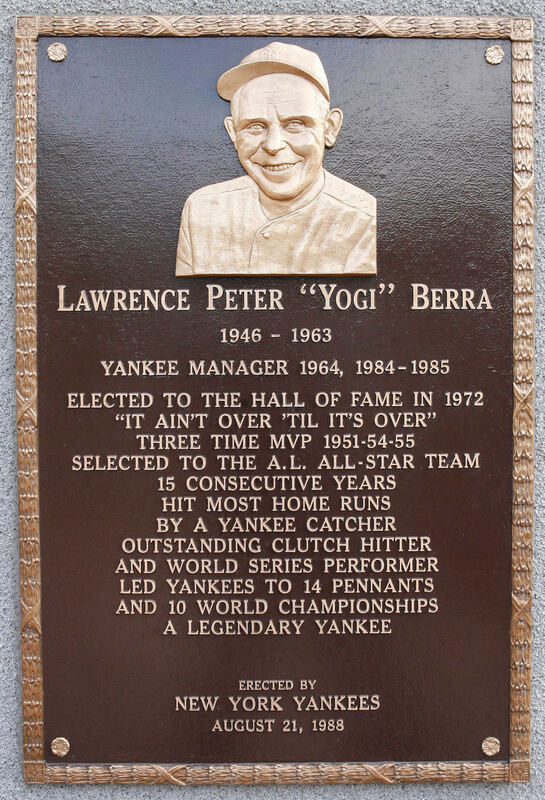 One was Yogi Berra whose passing saddened the city, the baseball world and people all across the country. While Yogi was leaving us, Pope Francis, a world icon, came to visit us, drawing large crowds wherever he went. Why am I writing this. Well, I started to say it’s because two items came across my desk. However, in today’s electronic world it’s more like links to two stories were emailed to me. After reading them I thought they both might interest you. The first is by WFUV Alum John Cirillo who wrote in his blog about Pope Francis’ visit to Madison Square Garden. The second is from USA Today who did an article on Vin Scully’s touching on-air tribute to Yogi Berra. As many of you know Vin is also an alum of FUV.